The vast majority of us shave at the very least once per week (some of us mu more). An act that is for the most part considered completely necessary. But what isn’t quite as necessary is the thorough application of harmful chemicals to the skin that comes with the typical shaving process. You guessed it – Shaving cream. Despite frequently being advertised as ‘healthy’ and ‘nourishing’, I can assure you that shaving cream is anything but. 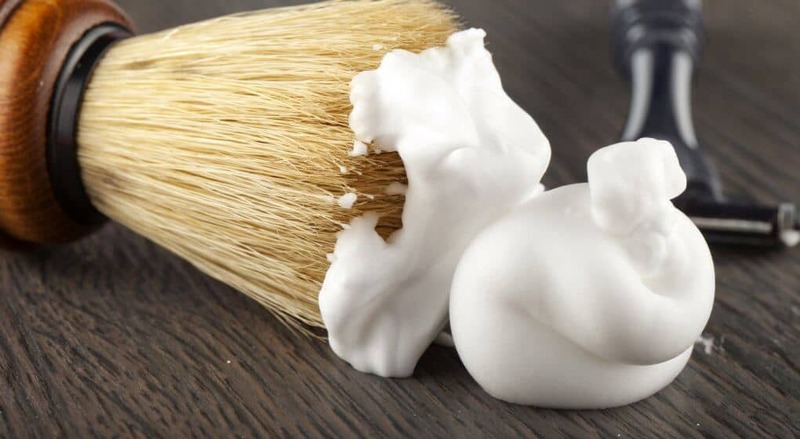 In fact, commercial quality shaving cream is known to contain a number of artificial products that (after prolonged use) can actually leave us with damaged skin, while also increasing our risk of developing a number of harmful skin diseases significantly . With this in mind, it is important to note that these same chemicals are not exclusive to shaving cream alone, and can also be found in a huge number of commercial aftershaves as well. While this may actually come across as a little shocking, I should also add that (fortunately for us) there are many fantastic alternatives available that can produce exactly the same action as shaving creams and aftershaves, without ANY of the potential side effects. As mentioned briefly above, there is a number of alternatives to shaving cream that don’t have any negative effects on our skin. As an added bonus, many of these after fairly inexpensive and fairly easy to come across. As a result, you have no excuse for not choosing a better option for you and for your skin. Baby oil is essentially a generic term that describes mineral rich oils with an added fragrance. When we douse our face in hot water, we unfortunately remove the protective oils form the skin. As a result, the skin can easily become dry and unhealthy. But, these clear baby oil mixtures offer a fantastic alternative to shaving cream because the replace the skins natural oils after shaving, in which they improve the skins ability to retain moisture. As an added bonus, baby oil contains no harmful chemicals or additives (it is meant to be used on babies after all), so you can be sure that it won’t damage your skin in any way. Soap is often a very convenient option that lathers up in a very similar way to traditional shaving cream. As a result, it makes for a very smooth and close shave. It is important to note that the best soaps from a skin health perspective are those that are derived from completely natural ingredients. While these may come at a slightly higher price-point than their mass produced counterparts, they do not contain any harmful chemicals or additives, and are also extremely rich in essential minerals and nutrients. As such, they can greatly improve the health of our skin, rather than hinder it. Coconut oil seems to be trending within the wonderful world of health at the moment, with some people touting it as a bit of a panacea. Now, while I don’t think that it is the be-all and end-all like some people suggest, it does actually make an excellent substitute for more traditional shaving creams. Coconut oil is a natural lubricant, making it perfect for shaving. In conjunction with this, coconut oil is completely free of chemicals, and contains an abundance of antibacterial and antifungal compounds . As a result, it can actually protect us from harmful skin diseases and infections, while also ensuring that we don’t develop dry or damaged skin. 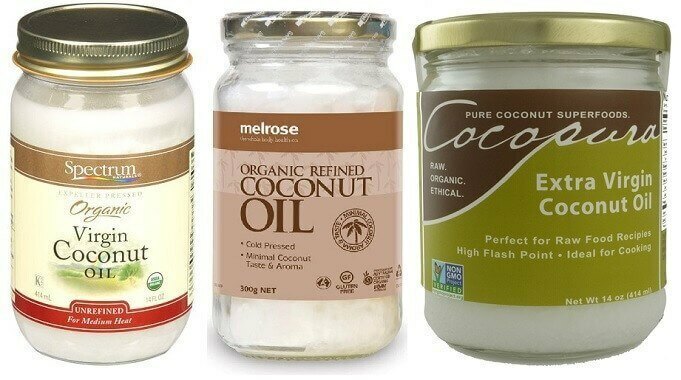 For an oil, coconut oil can be on the expensive side, but you can often find coupons to bring the price down. And it's only expensive for an oil, for a cosmetic product, it's cheap! Because of this, Shea Butter actually makes a great alternative to shaving creams, as it can greatly improve the health of our skin cells. As it has the capacity to reduce inflammation within these cells, it can improve their ability to function effectively. This means that the ability of these cells to maintain hydration and obtain nutrients is greatly increased – both of which lead to significantly improved skin health. As an added bonus, Shea Butter is also extremely rich in both Vitamin A and E, both of which are essential to the maintenance of cell health, and can further contribute to healthy skin. Now you might be thinking that with all these shaving cream alternatives, there should also be some pretty decent aftershave alternatives out there too? Due to the rather complex nature of aftershave in which they are comprised of a vast number of ingredients (many of which may not be all that good for our skin…), replacing it with a healthy alternative requires a little bit of work on our behalf. Healthy aftershave alternatives essentially have to be made, using a number of natural ingredients. Fortunately for us, these ingredients are not all that difficult to come by, and putting them together is not all that challenging. A good aftershave typically consist of some sort of healthy cooking oil, a small portion of distilled liquid, and then your preferred essential oils. This will ensure that your DIY aftershave not only feels great, but smells fantastic too. As a bonus, these types of DIY aftershaves can be produced using completely natural ingredients, and therefore provide the skin with a host of essential nutrients that can greatly improve skin health and function. In conjunction with this, many people also add their favourite smelling herbs and spices to their aftershaves as a way to guarantee it smells exactly how they want it too. This provides a very simple example of an easy to make DIY aftershave using all natural ingredients that has a host of positive effects on the skin. I should also add that both the essential oils and the spices can be replaced with literally any other, meaning you can produce tailored perfectly to your personal preferences. While shaving is a necessary part of life, the application of harmful chemicals to the skin doesn’t have to be. Using the natural alternatives above, we can greatly improve the health of our skin without having to stop shaving altogether. As always, if you have any natural healthy shaving remedies we would love to hear about them – so drop us a comment and we will get back to you ASAP.